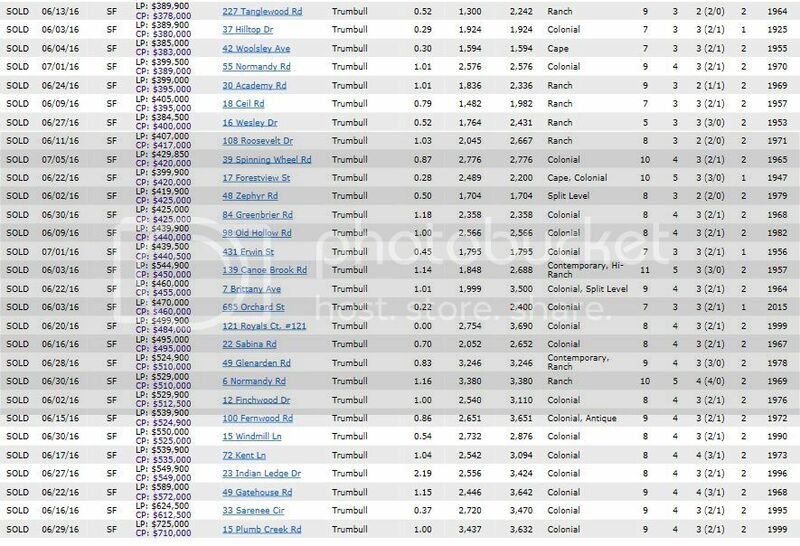 Trumbull CT home sales just took a big JUMP. June 2016 sales were UP 32% as compared to June 2015 sales and were UP 65% since May. The average listing and selling prices for June decreased 6% and 5% respectively. The median home price INCREASED 4%. This is a good example for understanding the difference between the sales average and median home price. Going forward, there are 37 homes under deposit and 62 sales pending strong. The market absorption rate came in very LOW at 2.67 months which is statistically a seller's market. This means at the current pace, it would take 2.67 months to sell off the inventory of 176 homes. What is currently 'on sale' in Trumbull? Homeowners, if you are thinking of selling and want to know what your home is worth in Trumbull, take advantage of a complimentary FREE market analysis on your home today. Sellers: Please read Biggest Home Seller Mistakes if you are thinking of listing your home. Guess what the BIGGEST mistake is! The sweet spot in sales stayed (from last month) in the historically popular $300 - $400K range with 42% of the sales. No matter which range your home is in, get it prepared to sell with effective pricing, (see Home Seller Mistakes blog post above) staging, and marketing and you WILL be calling the movers! 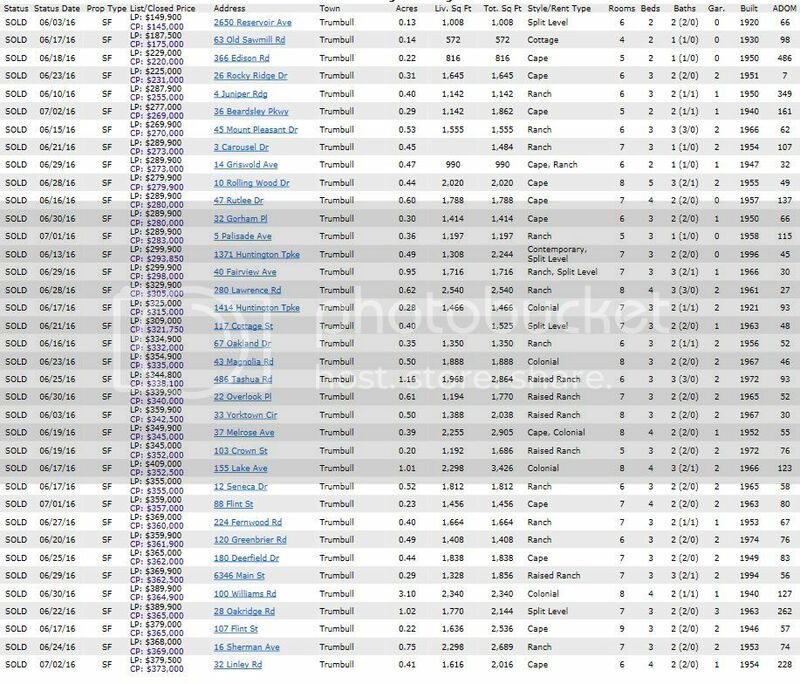 Which houses attracted buyers and sold in Trumbull CT in June 2016? The absorption TREND, which shows the number of months it would take to sell the entire inventory at the same pace, came in at 3.36 months for the last three months. More inventory needed!! It is VERY important to note that the absorption rate is calculated on all price points. If you are selling your home, your agent should calculate the absorption rate trend for your price range to get a more accurate analysis. 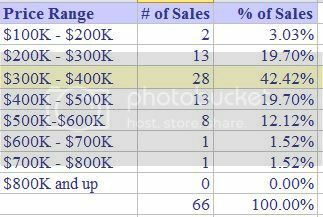 Sales went UP 65% in the last month as predicted due to the high number of pending sales which are still decent. The success in selling your house in TRUMBULL or any other community is dependent upon accurate pricing, effective staging, absorption rate for your particular price point, and having a strong online marketing presence. A house will sell if there is a synergy among all four. CONTACT ME for advice on how to LIST, MARKET, and SELL your home effectively in today's market. All agents do not provide the same marketing services. 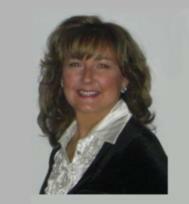 I offer a superior marketing PLAN to get your home in front of the most buyers. 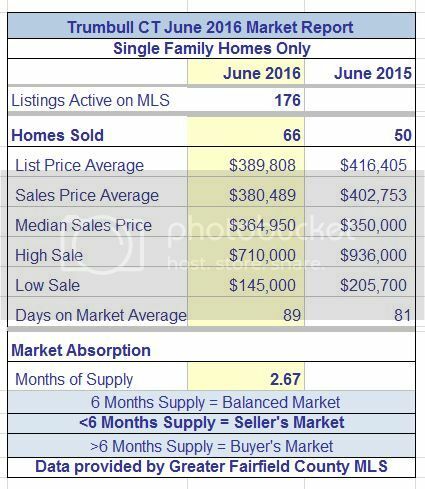 Date Source: Greater Fairfield County Multiple Listing Service -- July 26, 2016. No representation or warranty is made to the accuracy of this information.